A view out to sea on a calm day on Islay. 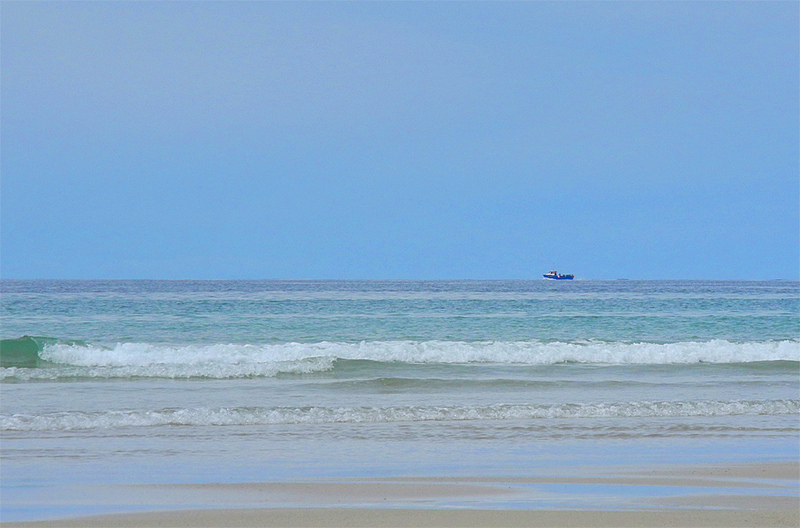 A boat passing on the horizon while a few small waves are breaking on the beach in Machir Bay. This entry was posted in Beaches, Landscape, Repost, Sunny Weather and tagged Fishing Boat, Islay, Kilchoman, Machir Bay, Rhinns of Islay by Armin Grewe. Bookmark the permalink. @winnading not much is known about it. It’s believed to be called Patti and wrecked in the 1840s. That’s about all known.